In our present days, life can be at a standstill when an electric system gets damaged all of a sudden. Be it residence or a commercial property, it creates problems. A day’s work is gone if you end up with an electric crisis at your workplace. That can create a financial loss as well as loss of effort. A minute problem in the electric system can lead to very dangerous and unsafe situation unexpectedly. That is why you need to be fixing the electric problem as soon as you can when you need electric maintenance services. Why you need professional maintenance service? 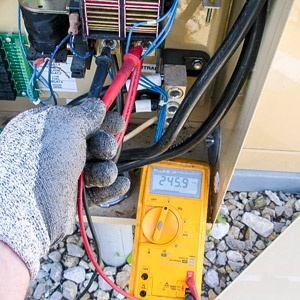 As a business owner, you need to be assured that the electric maintenance work on your commercial property is properly done or else it can prove to be a deadly mistake. You can keep other maintenance services, but not electric maintenance services. A fixture in the lighting, a replacement in the old wiring, an additional electric outlet installation, a change in the electric settings, even a sudden electric crisis, and much more! You may require the service of experienced and reliable commercial electric contractors Rancho Cordova CA. If you think why you need to hire a professional for electric maintenance services Rancho Cordova, here is your answer. Prevention is better than spending on a cure, as goes the old saying. Same can be related to electric maintenance as well. You may feel everything is functioning fine with your electric system and equipment at your work-space, but all of a sudden it may stop interrupting the work you do. It can be just a reflection of irregular electric maintenance work. A professional electrician is able to find the issues regarding electric circuits, systems, and equipment and solve the issue. So you will not be surprised by sudden circuit problem or system damage. Safety of the commercial property is of highest regards for any business owner. A small careless mistake in the electric system of the commercial property can lead to a big cost later in future. Safety of the employees, residents as well as the official equipment should be well maintained. Having your commercial property checked for electric system at regular intervals would ensure the safety. However, you need to hire the service of professional commercial electric contractors Rancho Cordova CA, as they will be aware of the safety codes and authority regulations. Another plus point regarding regular electric maintenance by a professional would assure the proper functioning of the office equipment. It will help the longevity of the electric appliances as many times premature damaging of electric equipment happens because of wrong installation and irregular servicing. You can save the life of electric appliances if you repair and maintenance at proper intervals by a professional. Electric hazards have proven to be a major cause of injuries and even death in the workplace. You can avoid major of the electric hazards if precautions for better safety are done at the commercial property. For better safety, you need to do the electric maintenance work whenever needed. 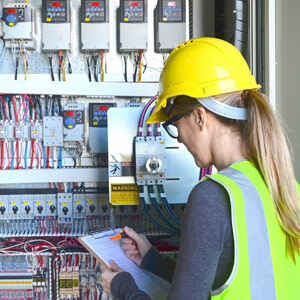 Proper inspection of the electric system at the workplace at regular intervals is also very important as old circuits and damaged appliances can create unexpected issues. Make sure you hire the service of licensed commercial electric contractors Rancho Cordova CA only. Another reason for electric hazards is unprofessional wiring and improper circuit systems that create a danger to the place. Protectors should be placed at every electric outlet as well. Apart from these, it is very important that you maintain the safety standard codes at commercial buildings as prescribed by the authority. The wiring system, equipment, and other equipment should be as per the standard codes. Using low-quality products can also be dangerous. Are you in search of commercial electric contractors Rancho Cordova CA? Here ends your search. Monster Electric has been one of the most trusted names for electric maintenance services Rancho Cordova. We are located at the beautiful city of Rancho Cordova. Comprised of a bunch of professional electricians with proven excellence in commercial electric maintenance Rancho Cordova, we have been most recommended commercial electric contractors Rancho Cordova CA. Not only our electricians are licensed to do the job, but also they are better-informed, highly experienced in electric maintenance services. Thinking of why we are the most recommended by fellow citizens for electric maintenance services Rancho Cordova? Well, there are solid reasons why we are regarded as the best electric maintenance contractors. 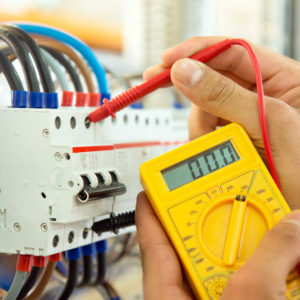 Firstly, we have years of experiences in all types of electric maintenance and repair services. We have a strong and knowledgeable team of staffs here who are highly proficient in doing the electric work. Our technicians are better experienced and thoroughly trained to analyze and find the faults in your electric system. Be it any work from a proper electric system analysis to commercial electric maintenance Rancho Cordova, we offer dedicated services. We never consider any job as small or minor when it comes to electric maintenance services Rancho Cordova. We give you superior services in electric outlets installation, washer and dryer hook up installation, replacing switches, installing circuit protection systems, etc as well. We, at Monster Electric, give the highest priority to safety and durability of wiring, installation and commercial electric maintenance services Rancho Cordova. We simply do not compromise on the quality of products used as well as on the safety standard codes. We make it sure that we clean the premises and no mess is left behind, once our repairing or installation work is over. Monster Electric holds with its long years of expertise in electric fittings and maintenance. We know it is tough to find the right technician for commercial electric maintenance service Rancho Cordova and it is not a job that you can keep for later, since leaving electric problems can be dangerous. Moreover, it is highly risky to do electric repairs by yourself and you need to hire a licensed electrician in Rancho Cordova for sure. We understand how irritating it can be when your circuit system gets damaged all of a sudden. Also, your whole day will be a mess when the electric system stops functioning suddenly. That is why we make sure you get our electric maintenance services Rancho Cordova in a timely manner. We reach to your commercial place as soon as we get your call for commercial electric maintenance services in and around Rancho Cordova. We never waste a minute to start solving the issue once we reach a diagnosis and make sure your day is not wasted. No electric work is as simple as you think. You never have to hesitate to call for simplest of work or complex electric maintenance services at your commercial property. We will be the quickest to respond to your call, reach your place at the earliest and finish the work as soon as possible in a professional way. We acknowledge that it is our duty to provide you the best of service, by using the most durable and reliable products, and highly efficient commercial electric maintenance services Rancho Cordova. Our services are reliable, superior, and at affordable rates. It will be our pleasure to give you our services as commercial electric contractors Rancho Cordova CA anytime.